Des Keogh’s My Fair Ladies brings back to the Dublin stage one of its most quietly accomplished actors for this lunchtime show in Bewley’s Café Theatre. Age has not withered him. Well, if the grizzled beard and assumed stiff-legged walk make for a more than passing version of his subject, it certainly hasn’t dimmed the talent, the timing or the warm, charismatic stage presence of the performer. Keogh takes us through a survey of the women who figured prominently in Shaw’s life: Florence Farr, Ellen Terry, Mrs ‘Pat’ Campbell and, oh yes, his wife Charlotte is in there too though the marital relationship was less than conventional, in line, indeed, with most of Shaw’s life. The show is loosely structured around Shaw’s letters to the various fair ladies of the title, interspersed with biographical snippets of incidents from his life. As the title suggests, Keogh is not interested in Shaw the socialist thinker, the playwright or music critic; the focus is firmly on his life and loves, or liaisons, as they would be more accurately described. He is presented as a clear-eyed observer of human foibles and follies – his own as much as those of others. His correspondence was free of hypocrisy and cant. There are no attempts to conceal his atheism, air-brush his philandering or to flatter himself in any way. As anecdote follows letter, follows anecdote, almost inevitably the format seems a little repetitive at first. However, before concentration can wander Keogh changes tack and, right to the end, holds the audience with a series of comic turns, including a wickedly funny take on WB Yeats plucking the strings of his psaltery as he recites Down by the Salley Gardens and a brilliantly entertaining extract from Pygmalion, where he creates five very different characters effortlessly. His speech from St Joan too reminds us of how great Shaw’s plays are too. If they are less often performed nowadays, it may be because of the playwright’s famous verbosity and tendency to preach through his characters. Or maybe due to the ever-diminishing concentration of a society addicted to instant hits of Facebook and Twitter. Jim Queally’s period set design works perfectly. 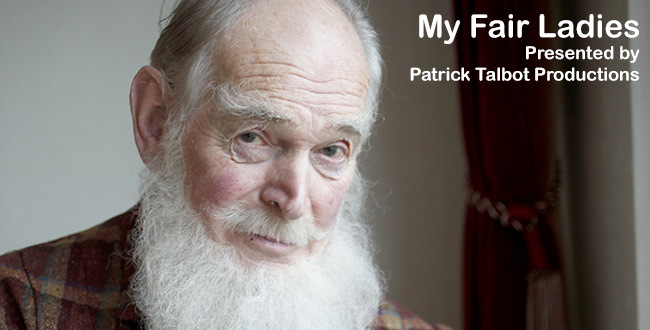 Patrick Talbot directs the show which continues daily at 1 pm in Bewley’s Theatre Café, Grafton St until May 26th.